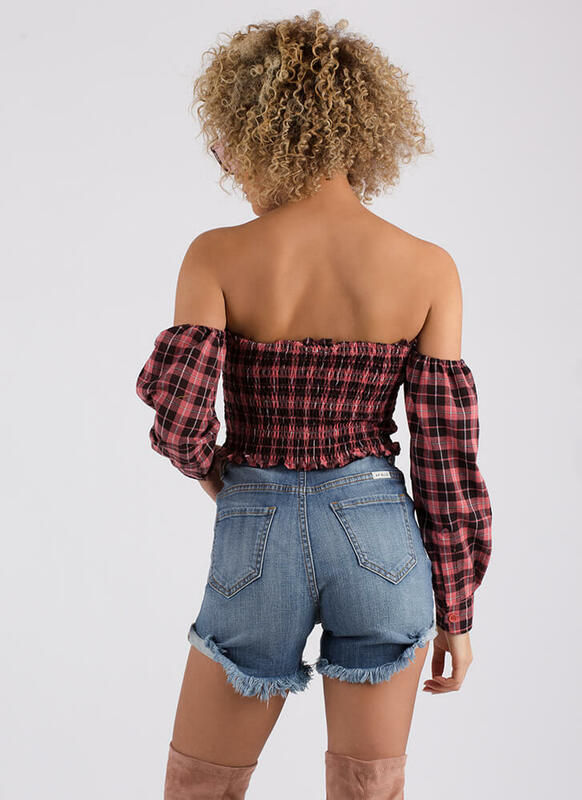 Bad days don't exist when you have this cheery top in your closet. 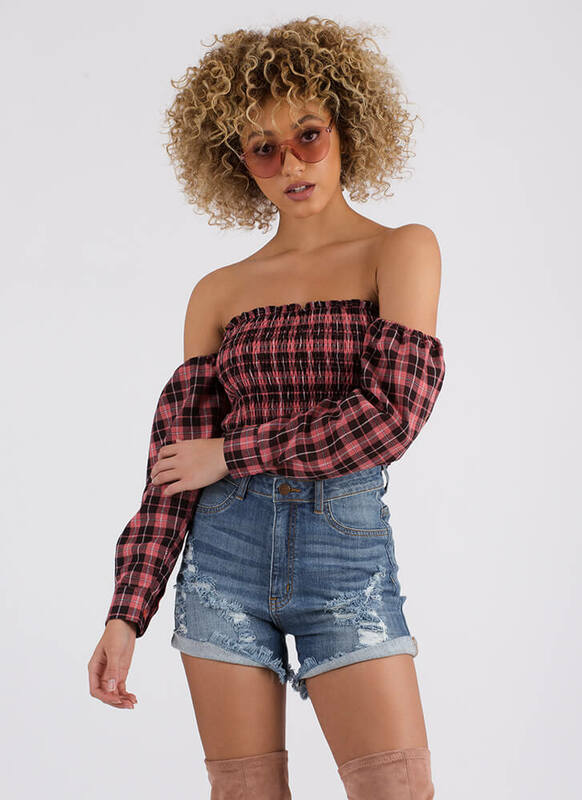 Semi-stretchy plaid print crop top features a smocked tube top with curly edges for a frilly look and puffy, attached long sleeves with buttoned wrists to complete the off-the-shoulder look. No additional closures are included. Pattern placement may vary.